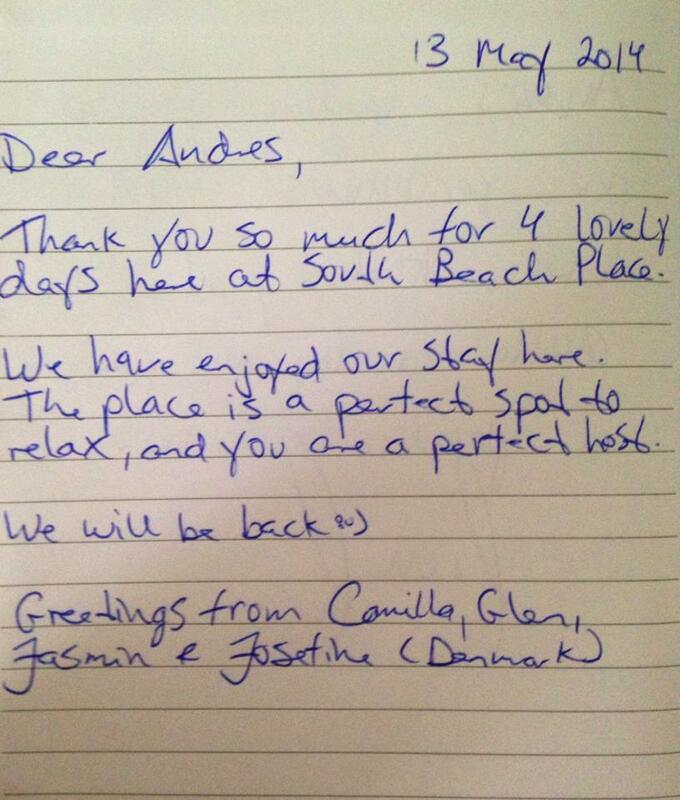 WE LOVE OUR GUESTS RIGHT BACK!! 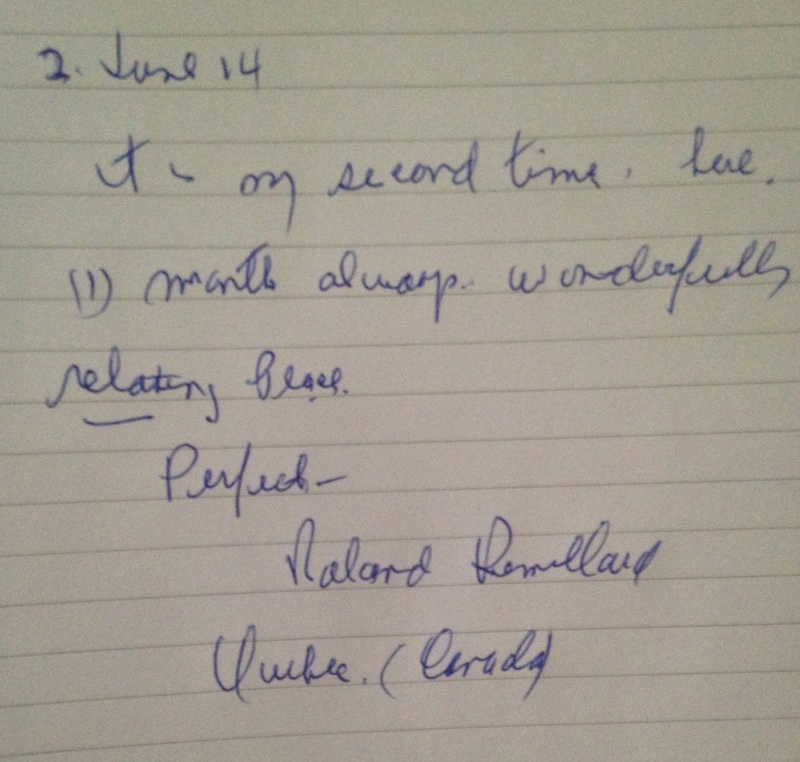 That’s what we love to hear!!! 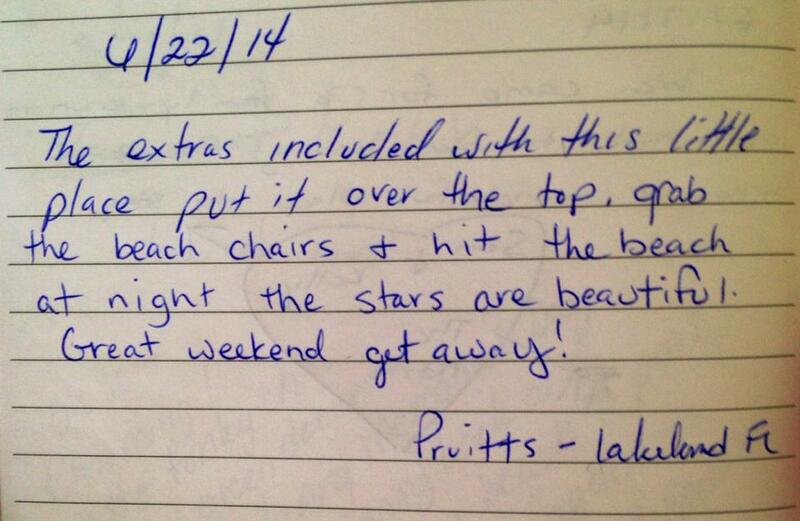 What a great suggestion the Pruitts had!!! Until next year Mr. Remillard!! 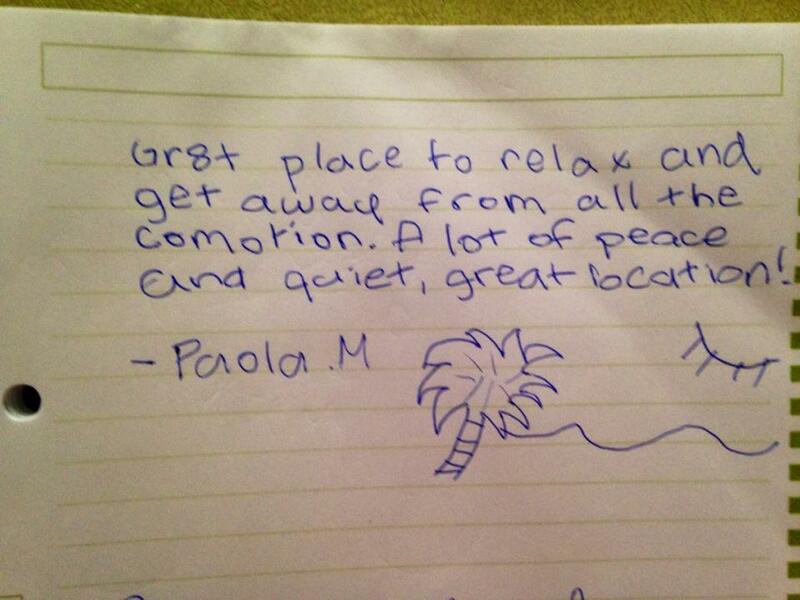 Relaxation is our #1 priority!! They have been coming to Vero Beach for years… They just discovered our little piece from heaven!! 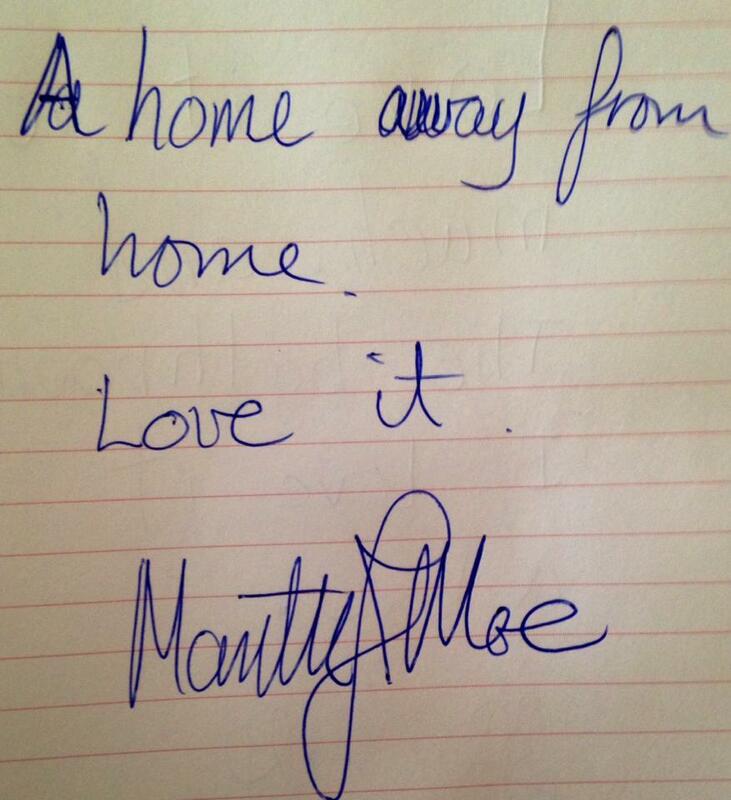 One of our guests back in December 2013 left us a little comment in our Notebook. 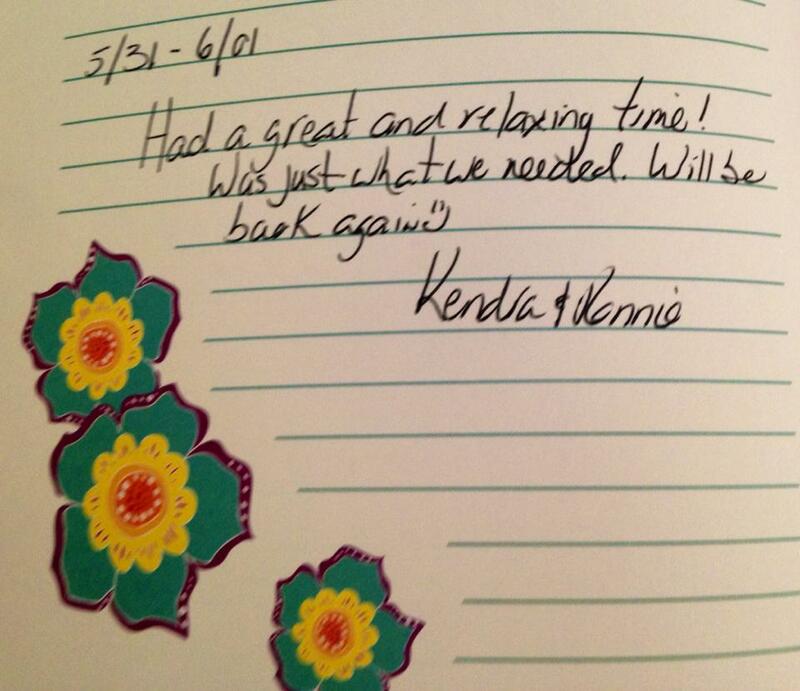 We are so glad Karen and Nicholas had a great time in SBP! 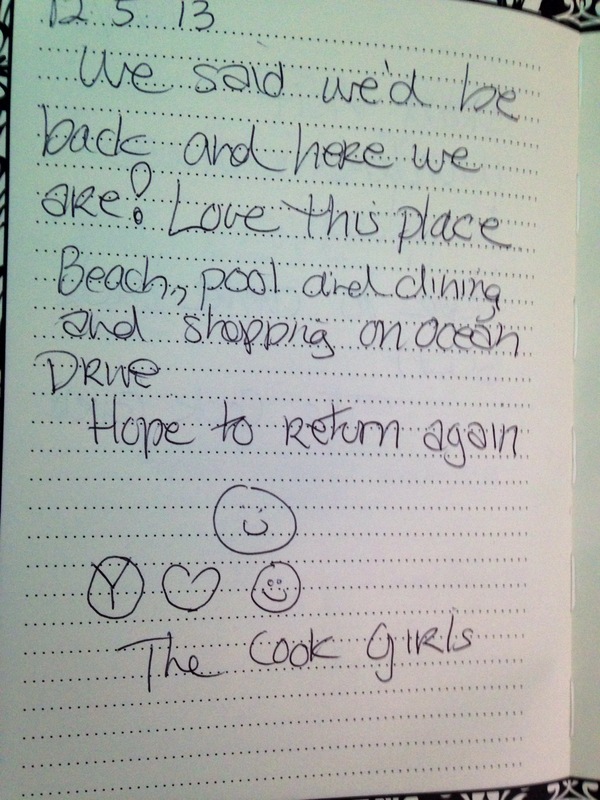 “The three generations girls.” We hope to see you again! !